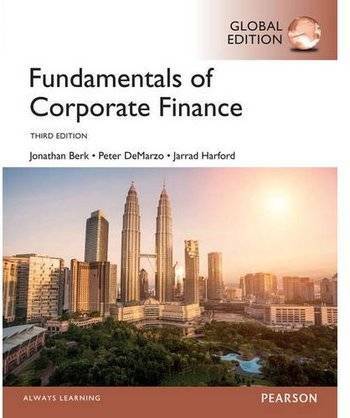 Fundamentals of Corporate Finance ’s applied perspective cements your understanding of modern-day core principles, focusing on problem solving and real-life financial management practices—all within a clear valuation framework. MyFinanceLab for Fundamentals of Corporate Finance creates learning experiences that are truly personalized and continuously adaptive. MyFinanceLab reacts to how students are actually performing, offering data-driven guidance that helps them better absorb course material and understand difficult concepts—resulting in better performance in the course. A dynamic set of tools for gauging individual and class progress means educators can spend less time grading and more time teaching. Improve Results with MyFinanceLab: MyFinanceLab delivers proven results in helping students succeed and provides engaging experiences that personalize learning. Help Students Review and Apply Concepts: Examples and exercises help students practice and connect to real-world decisions being made today in today’s firms and policy debates.